Ideal for 3V applications that are cost senstitive, requiring flexible serial communication with four serial ports: double synchronous serial ports (I²C™ and SPI™) and double asynchronous serial ports. Large amounts of Flash program memory make it ideal for instrumentation panels, TCP/IP enabled embedded applications as well as metering, industrial control and monitoring applications. 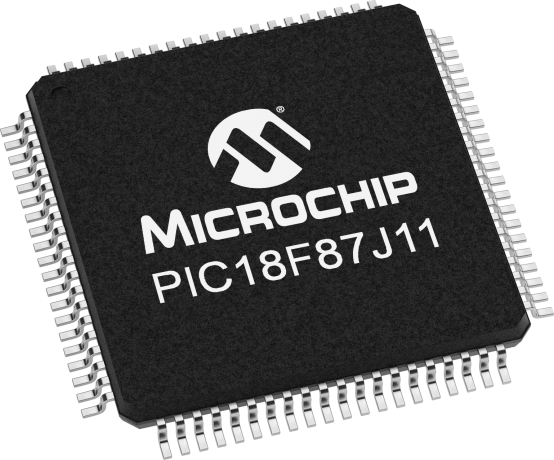 The PIC18F87J11 is an enhancement to the PIC18F87J10 family, including an internal 8MHz oscillator, lower power and improved EEPROM emulation via word Flash write capabilities.